The Zing Of My Life: Vancouver Fashion Week!! I am so excited to share that I got invited to attend the Vancouver Fashion Week. Its a super exciting moment for me!! When I started this blog, I just meant it to be an extension of my artsy-self: a medium to express my creative side in Fashion, Food and Every day life. So as a newbie lifestyle blogger, getting an invitation from one of the West Coast's premier Fashion Week, is an exhilarating moment for sure! Too much of excitement and happiness!! I know it would be even more exciting to attend the Fashion Week but sadly, I wont be able to attend it (Darn, travel logistics!). But still I wanted to share with you the details of this event. 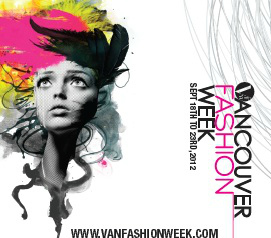 The Vancouver Fashion Week is a semi-annual event and is entering in its 10th year! The Fashion Week kicked off today with pompous celebrations and will continue until Sept 23 mainly showcasing the Spring/Summer 2013 collections. If you are in the area, don't miss a chance to attend this event! 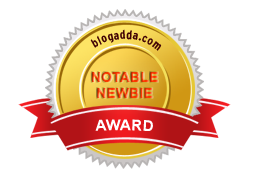 I would like to than the organizers and PR teams for choosing my blog to be a part of this event. Thank you so much guys for this opportunity! Wow! Congrats!!! :) enjoy your moment! Way to go girl! Wish you could have made it too! that is a great opportunity. But somehow, I tell u these things don't excite me much! BUT Yes if I would have been in my twenties !Thinking of the fact that I'll be sharing my blog space into doing something and writing what they feel like ! Internet is flooded with all coverages,and blogs become repetitive posting the same matter and pics etc. Just at times reader loses interest ! 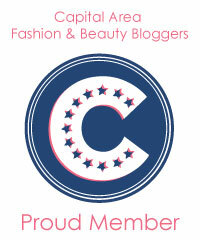 However would personally love to explore the fashion weeks,provided-no strings attached ! Just sharing my opinion ! sorry for the ramble dear ! Have a nice day !